So, you want to travel somewhere in a luxurious RV. The only problem is… you don’t have an RV, and you don’t travel frequently enough to make a several-thousand-dollar RV seem worth it. Or maybe you do have an RV, but it’s sitting around unused and you’d like to make a little bit of money off of it. 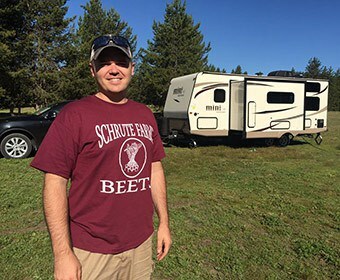 Thanks to the power of the Internet, there are several RV rentals connected across the country, and you can enjoy or help others enjoy a taste of the RV life. 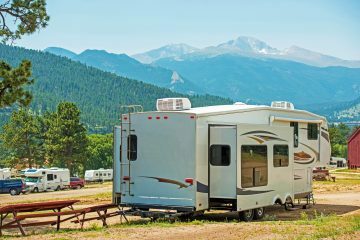 Keep reading to learn more about these companies and what makes each of them so popular among RV renters and RV owners, as well as what you can expect when you work through them. Before we get started, I want to say something really quick about pricing. 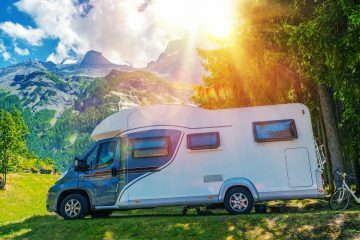 There will be average prices for RV rentals under these companies, but you should keep in mind that the prices will vary heavily from owner to owner. Time of year: Rentals in the winter are going to vary drastically to rentals in the summer. Not many people are wanting to travel when it’s cold out, so you might find a really good price if you keep an eye out. Prices can also vary if there are local events going on. Location: Prices are going to vary depending on which state, or even which city, you look at. Now that that’s taken care of, let’s get started! RVshare is a peer-to-peer rental system; this means that people who own RVs can get their vehicle approved to rent to others for a set price. You can rent travel trailers, motorhomes, camper vans, and tent campers. RVshare has rentals available in all states in the United States. 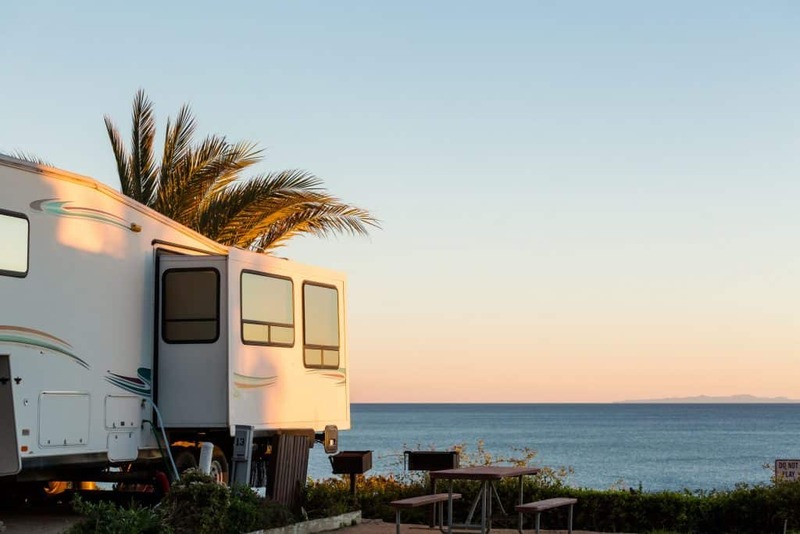 Whether you live in the heart of Texas, on the coast of California, up in Alaska, or all the way in Hawaii, there are several people in the area who have an RV you can rent. Backed up by MBA Insurance and National General Insurance, RVshare claims to be the only rental marketplace that provides liability, comprehensive and collision coverage from quality insurance carriers. Both renters and rentals can be assured if something happens because they will be helped by professionals. Outdoorsy is the largest and one of the most trusted RV rental marketplaces in the US and Canada. With over 2.6 million customer interactions, their selection spans over several different types of campers and motorhomes, including the following: fifth wheelers, Class A, B, and C RVs, Vintage Airstreams, and toy haulers. Outdoorsy is similar to RVshare in their benefits and options, but if I were to recommend either, I would choose Outdoorsy because of their incredible insurance coverage- over $1 million compared to RVshare’s $500,000. Another pro to Outdoorsy is their incredibly positive feedback from owners and renters. With literally tens of thousands of reviews, Outdoorsy has a 93% average in 5-star reviews, giving them an overall average of 4.88 out of 5. With over 30,000 RVs listed, you’ll be hard pressed to not find an RV that interests you. $1 million insurance covering both Owner and Renter, including theft and damage. All renters go through a DMV check, so only approved renters will be allowed to request your RV. Instead of using peer-to-peer rental systems like Outdoorsy and RVshare, Cruise America is a corporate RV rental company. They have their own selection of motorhomes and travel trailers that they rent from their RV rental centers. They don’t offer specialty RVs like camper vans or tent campers. There are over 120 rental locations in the US and Canada; it’s a lot, but it’s fewer compared to Outdoorsy and RVshare, so it can be expensive just to travel to the agencies depending on where you live. One bonus they have is one-way rentals, which means you can rent an RV from one place and drop it off at another, and they are extremely cheap. A downside to this, however, is that you’re limited to destinations you can visit, and once you drop off the vehicle, you still have to make the trip back home, which means making the drive back or flying. A big plus about Cruise America is whatever vehicle you choose, it will be very clean and guaranteed to run. On average, most trips cost at least $99 per night. The price that you’ll get will vary by a lot of factors, all depending on the details of your trip. In addition to the renting cost, Cruise America charges $0.35 per mile, which can add up quickly. With only 8 locations in major cities the United States, such as New York, Los Angeles, and Orlando, Road Bear might be better to look into if you live near one of their locations, else you’ll be spending a lot of money just to see if they have something you’re interested in. If you do find something you like, you are able to leave your vehicle in their lot for free! 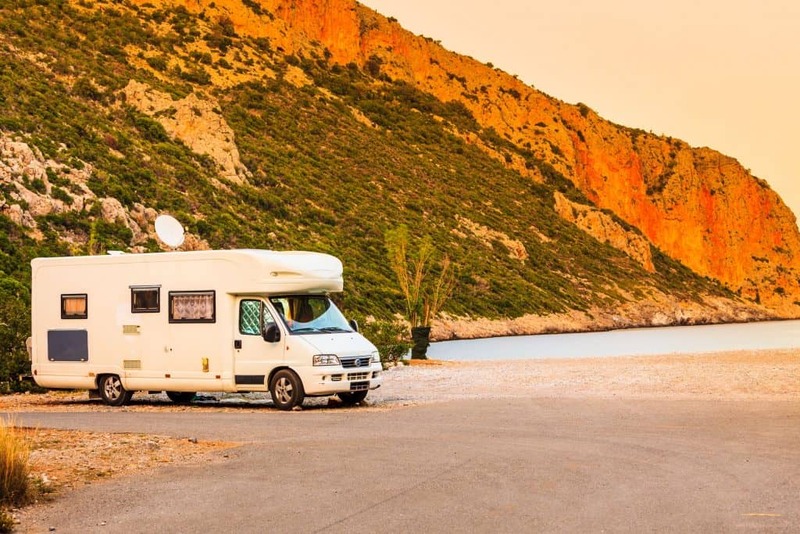 One downside is the very limited selection of motorhomes you can rent, and some of the motorhomes they have available are located in certain locations. 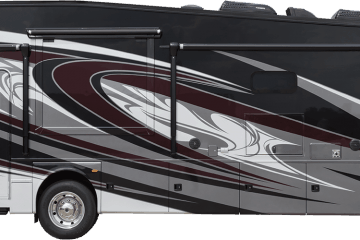 For example, you can only get Class C 20-23′ (motorhome model L) is only available in their Los Angeles, Las Vegas, and San Francisco locations. Their reservation form is very simple; you just need to give your travel dates, the pick-up and drop-off location(s), the number of passengers, and the model you’re looking for. You can prepay for miles in 500-mile blocks for $210 each; additional miles will be charged $0.45 per mile (plus local sales tax). You can save about $15 from buying in blocks. There are other additional things you can include in your vehicle, such as GPS and WiFi, but it costs extra. The good news is these things are optional, so if you don’t want to include them, you don’t have to. If you are a local resident of the area and you don’t need Road Bear’s optional convenience kits, you will receive the kitchenware free of charge. Just like Cruise American, Road Bear also offers one-way rental. Renting prices are based on a 7-day rental. The first biggest pro of CamperTravel is it’s not limited to the United States. Citizens of Europe, Canada, New Zealand, Australia, and South Africa have access to CamperTravel. Or, if you’re planning on traveling to these countries and would want to explore via an RV, you could save a ton of money through renting. CamperTravel always tries to offer renters ways to save. Throughout the year, they will have several different kinds of discounts running from other rental services, and those discounts will be automatically applied to your reservation. For example, there are several “Summer One-Way Specials” that stretch from April to November, and if you pickup from certain locations, there’s no one-way fee. The average price ranges between $32 and $535 for all sizes and capacities. The following prices are only for the US. If you travel into another country, remember to take convert currency. Prices may vary. 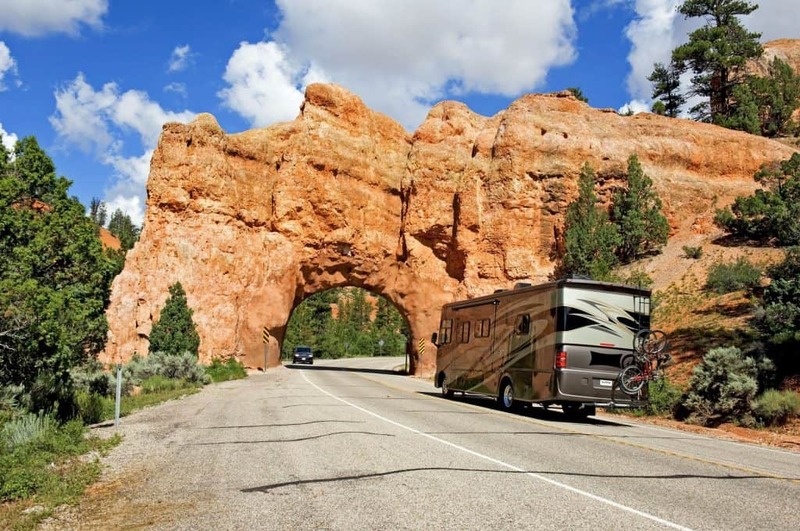 El Monte is very limited on their choice of motorhomes- they only offer Class A and Class C. They are headquartered in California, but they own branch locations in 16 states: Arizona, Nevada, New Jersey, Pennsylvania, Washington, Illinois, and Texas are a few of them. A helpful feature that El Monte RV provides are diagram pictures for their vehicles, both in daytime and nighttime arrangements. This makes it easy for you to see how the vehicle is designed and would work in different settings. If you own an RV, trailer, or motorhome, and you are in need of maintenance on any part of your vehicle, El Monte offers services. First-time customers can get 10% off. Speaking of discounts, El Monte RV is the only company that offers an AAA discount for those with membership (5% June – August, 10% September – May). They frequently have other discounts and specials, which you can check out on their website. A caution to those considering renting from El Monte. Poor reviews have been given about them; there are two common complaints that previous customers have. The first is receiving a vehicle with broken or damaged parts, despite the website claiming that the vehicles are inspected by trained techs. The second complaint is poor customer service. Most of these complaints are directed towards California locations. Amenities include- Air conditioning, full kitchen, bathroom, dining area, and a generator. *Prices are not absolute. May vary by location and time of year. Motorhome Republic is the world’s largest online Motorhome and RV rental agency. 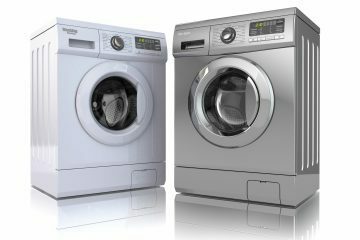 They operate in 38 countries and have over 450 suppliers worldwide, which make them a convenient option no matter where you live. 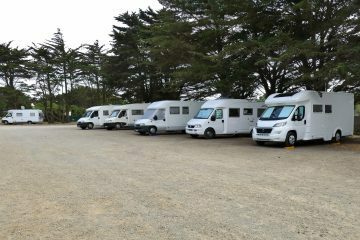 They ensure that they have the best rental rates on a large selection of motorhomes. They have a team of people working 24 hours, 7 days a week to communicate with customers and answer any questions renters may have. They will also work with you to pick the right RV for you, and even suggest itineraries for your trip. 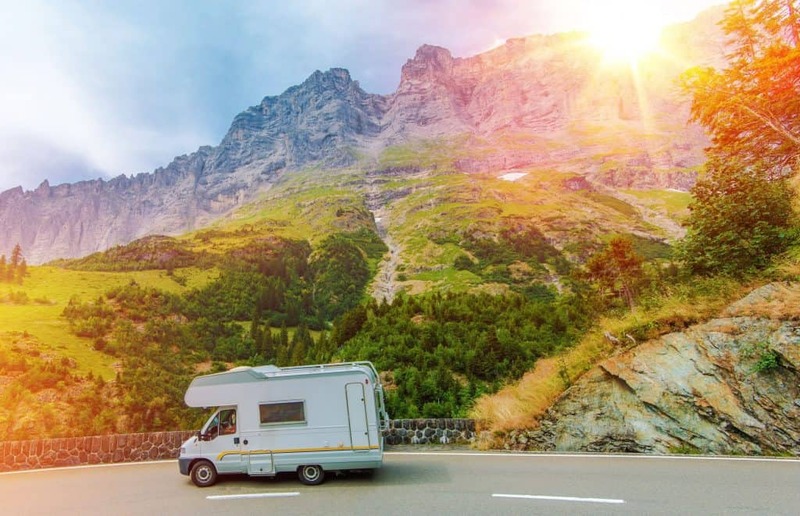 Motorhome Republic doesn’t have any booking fees, but it is important to understand that even though you are renting through Motorhome Republic, you will be getting your RV through a third-party renter. They offer many deals and discounts when renting through their company, and even have the deals separated by country making it easy to find no matter where you are traveling. They also allow you to switch the type of currency that is shown right on their website, making it easier to understand how much you are paying no matter where you are paying from. Motorhome Republic gets great reviews from past renters, and don’t seem to have many complaints. This is a good company to rent from if you are looking for a great deal. 24/7 Customer Service with consultants that speak many different languages. The pricing on Motorhome Republic varies greatly, especially because they operate in so many places. They don’t have any set rates, they just work to make sure that their rates are the lowest. They are essentially a company that helps you find cheaper, and the best deals to rent from other companies. This means that depending on the time of year, what company, and what city or country you are renting from will determine the price. Luckily they have a very helpful team of people who are available 24 hours a day, 7 days a week to help you find an RV that will best fit your budget at any time of year, in any of their locations. What packages do rental companies include? All rental companies offer packages to make your travels more enjoyable. They have the option of a “Convenience Kit,” which has basic equipment (bedding, a set of dining plates and utensils, towels, etc.). Some companies have packages for WiFi and phone service. These packages are optional, so if you don’t want it, they won’t force unnecessary fees on you. Is it cheaper to rent an RV or stay in a hotel? 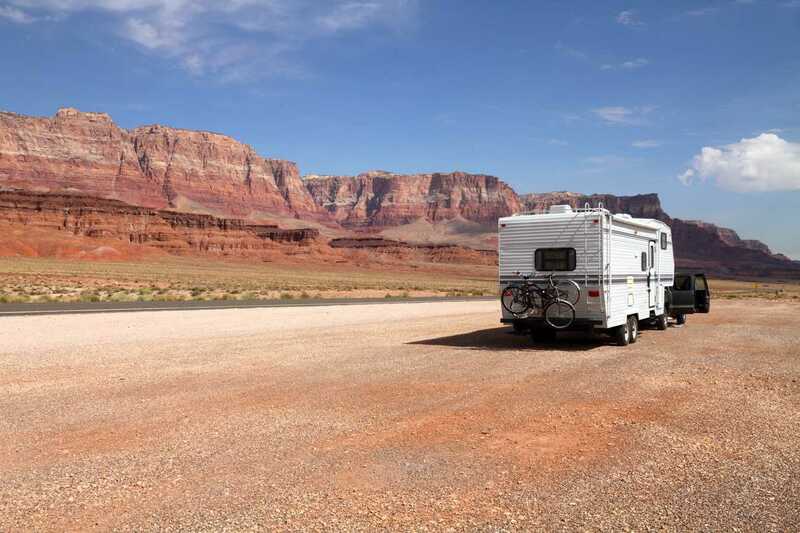 Renting an RV is normally cheaper than staying in a hotel, but it still depends on the circumstances. If you plan accordingly and utilize the RV’s amenities, such as buying groceries and using the RV’s kitchen to make meals you can save a lot of money.